Whether you’re traveling to Niagara Falls as part of a family reunion, a bachelorette getaway, or a business conference, being in a new place with a bunch of other people isn’t everyone’s idea of a great time — especially if you’re an introvert. Add to the whole group dynamic a jam-packed itinerary of events and attractions you don’t want to miss, and vacation can all of a sudden feel like a gauntlet of other-induced stress. How are you ever supposed to relax and rejuvenate enough to have a good time? Well, never fear. For the group traveler dying to be alone in Niagara, opportunities to do just that abound. All it takes is a little know-how and the willingness to elbow out a little room for yourself. Here are some tips for the introverted traveler who finds himself in need of a little alone time in the midst of a Niagara vacation. No matter where you’re staying in Niagara, an early morning walk will afford you the space and fresh air to get some space from your traveling partners, while also getting out of your own head for a moment to more fully appreciate the place you’re visiting. Whether you walk down to the waterfalls just after sunrise each day or you head over to Queen Victoria Park, Niagara Falls is one of the most beautiful places to stretch your legs and your mind in the morning. All you need to do is be willing to wake up before the rest of your crew does, and after 15 minutes to a half hour, you’ll be ready to face the day as one of many, once again. Just in case the group with which you’re traveling keeps finding ways to join you on your walks and yoga outings, get proactive and schedule some time for pampering. Whether you take in a massage, get an aromatherapy session, or sign up for an all-day spa excursion, pampering yourself is a great way to release stress and steam and ensure you can be in a space away from your traveling companions. Christienne Fallsview Spa, in particular, is one of the finest spas in the area. 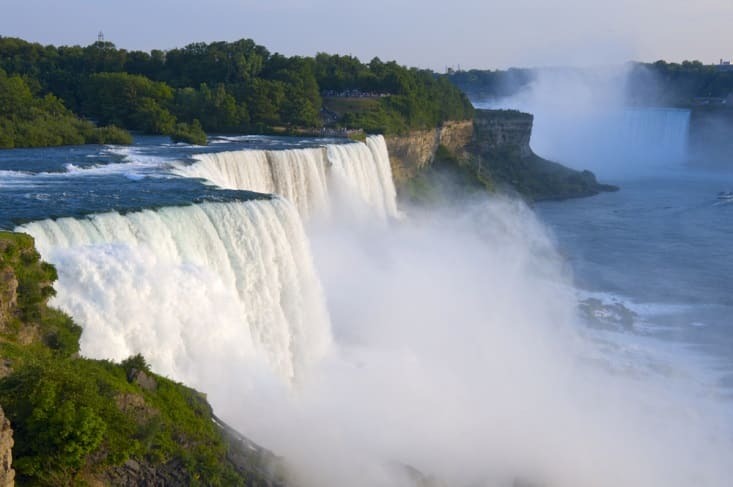 It also offers a breathtaking view of Niagara Falls so even while you’re resting instead of sightseeing you’ll still be able to enjoy what makes this part of North America so very special. When you can’t wait to get away by yourself, there are few places as great to be as Niagara. Whether you take a walk, take in some yoga, get pampered, or do all three, it’s easy to be part of a group here and maintain your sanity at the same time.